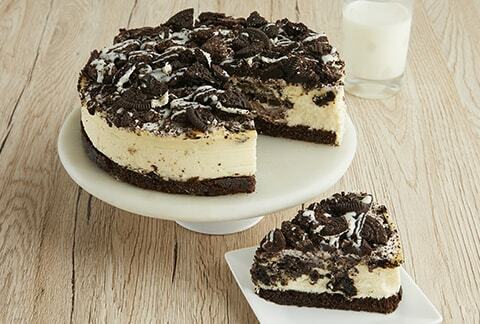 Two all time favorites in one cheesecake. 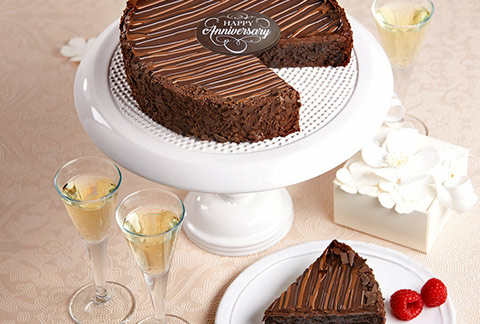 Chocolate wafer discs with cream topping covered with white chocolate drizzle. 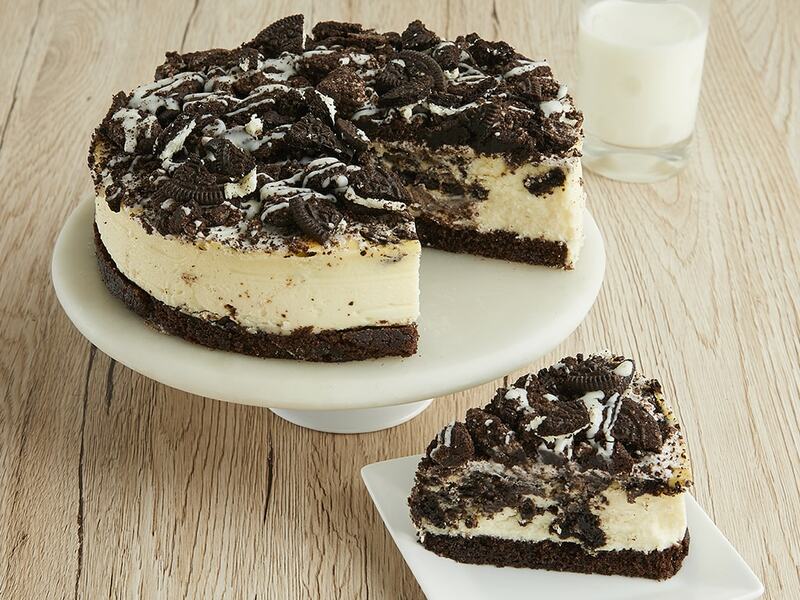 The middle of the cheesecake is filled with more chocolate cookies. It's what dreams are made of!